(12oz Each Bottle). Power Steering Fluid. G enuine Honda. Key Search Words - 2000 : Power, Steering, Cooler, Coolers. To confirm that this part fits your vehicle, enter your vehicle's Year, Make, Model, Trim and Engine in theCompatibility Table. The engine types may include 4.3L 262Cu. 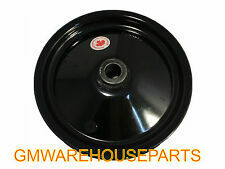 (1) NEW FORD OEM 2004 2005 2006 2007 2008 F-150 F150 Power Steering Pump-Reservoir Tank Cap F65Z3A006A F65Z-3A006A. The engine types may include 4.2L 256Cu. V6 GAS OHV Naturally Aspirated, 4.6L 281Cu. Product Description This Professional Power Steering Pump is assist the driver to adjust the car direction.And it helps drivers to reduce the intensity when they are turn the steering wheel. It adopts lightweight and is produced by the sophisticated technology. It is the combination of elegance and good use, firmly and securely, guaranteeing the safety of your car. .
Steel Power Steering Box Adapter Fittings. 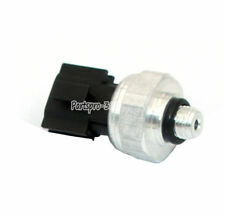 4806 - STEEL POWER STEERING BOX ADAPTER FITTING 16MM-1.5 IFM/-6 AN, 80-UP GM FOR SWEET STEERING BOX. 16mm-1.1 IFM/-6 AN 80-Up GM. 14mm-1.5 IFM/-6 AN 80-Up GM. 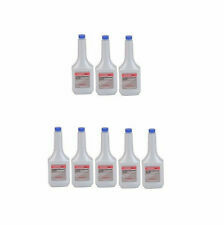 Power steering pump seal kit for. Rear Main Seal Set fit 97-16 Chevrolet Cadillac Buick GMC 5.3L 6.0L 4.8L OHV Replace OE Part #: BS40640, 12550574, 12559769, 8-12585-671-0, 8-89060-436-0, 89 06 0436, 89060436. Check out the new VMS brass power steering adapter fitting for the Gen 3/Gen 4 engines on Corvette, Camaro, Pontiac GTO, Cadillac CTSV, and Vortech powered trucks. The VMS Racing brass adapter bushing will make your LS engine swap a bit easier, by directly connecting the old school 3/8 flare powering steering lines to the new GM power steering pump. 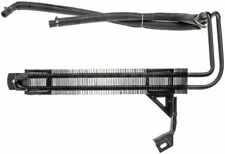 Product Description 100% Brand new, never been used Power Steering Pressure Line Hose Assembly Prevent leaks and loss of power steering with our Power Steering Pressure Hose Direct fit replacement for a proper fit every time Professional installation is highly recommended(No instruction included) OEM Part Number: 53713-S87-A04 53713S87A04 Cross-Reference: 979-4006 365527 75018 92150 53713S80G01 53713S87A03 53713S87A04 53713-S80-G01 53713-S87-A03 53713-S87-A04 Power Steering Pressure Line Hose:. 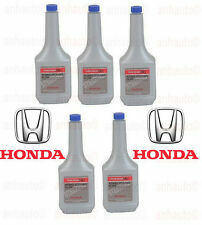 1998-2002 Honda Odyssey 3.5L V6 GAS SOHC Naturally Aspirated. 1 x Power Steering Pump. All critical components are tested to ensure proper function. Shafts are surfaced to precise specifications to eliminate premature seal wear and extend pump life. Application Summary - 2000 : Toyota Camry 2011-07. This part generally fits Toyota vehicles and includes models such as Camry with the trims of Base Sedan 4-Door, CE Sedan 4-Door, Hybrid Sedan 4-Door, LE Sedan 4-Door, SE Sedan 4-Door, XLE Sedan 4-Door. 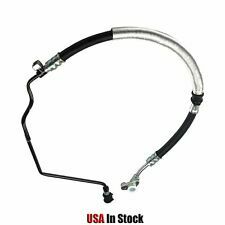 Product Description 100% Brand new, never been used OEM Part Number: 3401200,37238, 365543, 55172, 92164, 2647-498147, 53713SHJA01 Power Steering Pressure Line Hose Assembly Prevent leaks and loss of power steering with our Power Steering Pressure Hose Direct fit replacement for a proper fit every time Professional installation is highly recommended(No instruction included) Fitment. New, not rebuilt or re-manufactured. Sub Type: Steering Shaft. Feature - Benefit 1--U-joints use precision engineered needle bearings for smooth operation. Length--15.25 IN. Product Description 100% Brand new, never been used Made of the High Quality Part Number: 92440, 4441048100, 365849, 3401189, 37515, 37516 Other Part Number: 36-365849, 979-5062, 55109, 5-55109 Fitment Notes: Gas Hose / Line Color / Finish: Black Hose / Line Outer Material: Rubber Line / Hose Length (in): 68 Professional installation is highly recommended(No instruction included)​ Fitment 2001-2003 Toyota Highlander; V-6 3.0L Please search for your vehicle in the compatibility table and make sure this part is compatible with your vehicle matching in year, make and model Package Includes. High Volume Performance Oil Pump Fit Chevrolet GM 4.8 5.7 6.0L LS1 LS2 LS3 10296. Rear Main Seal fit Acura Integra Honda Accord Civic Prelude 1.3L-2.3L engines Replace OE Part #: BS40430, 5-86204-818-0, 5-86204-819-0, 91214-P2F-A01, 91214-P7A-004, 91214-PAA-A01, 91214-PC6-003, 91214-PC6-013, 91214-PC7-003, 91214-PD2-004, 91214-PE1-721, 91214-PH1-003, 91214-PH1-004, 91214-PH1-013, 91214-PH3-751, 91214-PH3-A01, 91214-PLE-003, 91214-PR4-A01, 91214-PT0-004. Description: 100% brand new Cylinder Kits，Never been tried or installed Built to strict quality control standards 100% tested prior to leaving the factory Perfect match for the original car. Easy installation. Stable characteristics, high reliability. Aftermarket Products with Premium Quality. No instructions included, Professional installation is highly recommended Package including: 1 x Power Steering Pressure Hose Fitment:. EGR Delete Kit Oil Cooler Gaskets Blue Spring Upgrade 03 07 Ford 6.0 Powerstroke Replace OE Part #: SD-EGRD-6.0, 3C3Z-6A642-CA, 4C3Z-9P456-AA, 4C3Z-9P456-AC, 4C3Z-9P456-AH, 4C3Z-9P456-AF, 3C3Z-9T517-AG.